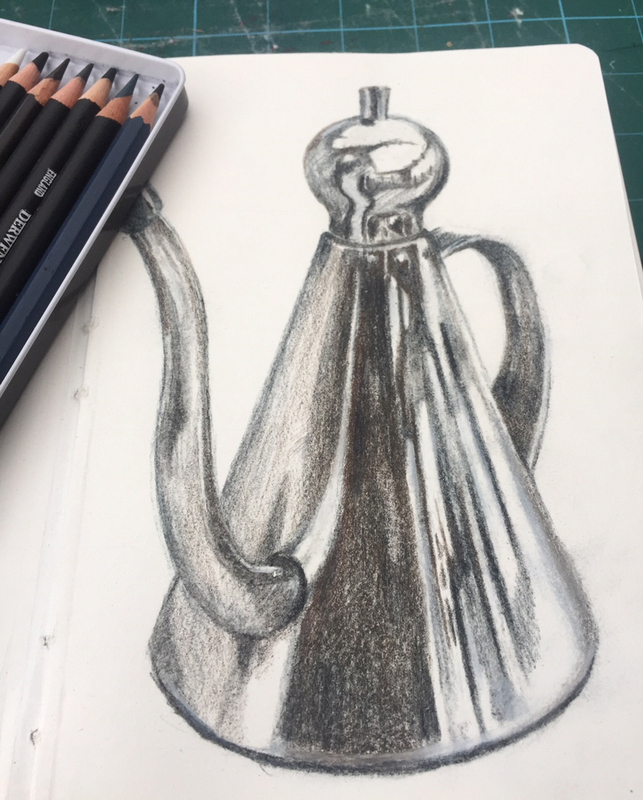 Linda and I have both been working in our sketchbooks this week drawing objects with reflective surfaces. 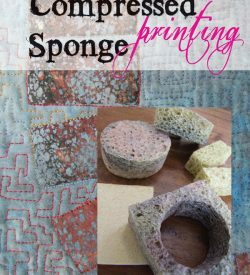 It’s a tricky but fun challenge! 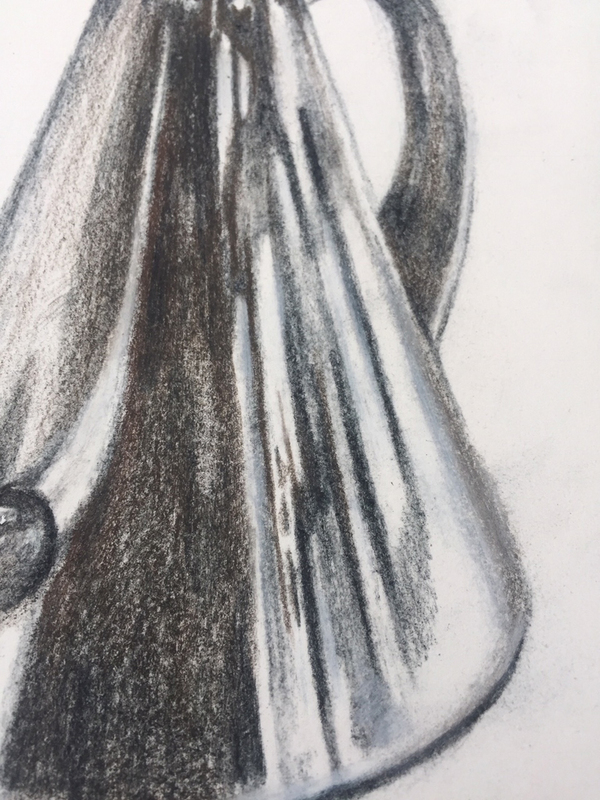 Linda worked with charcoal pencils to draw the oil pourer. 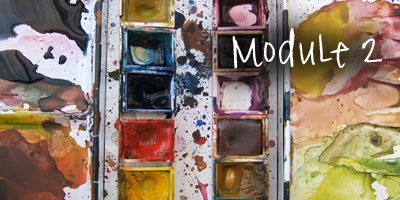 Charcoal pencils are good to use in that they enable you to quickly lay down tone. 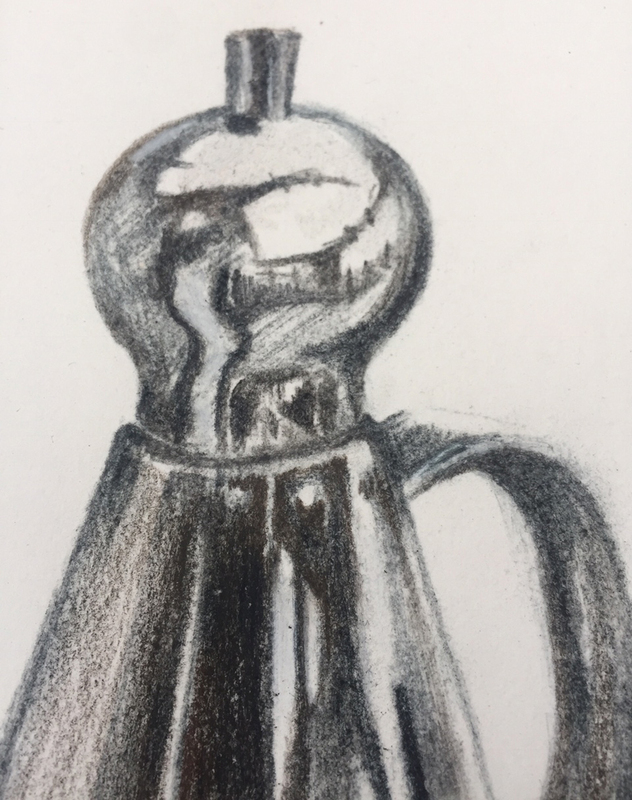 That said, in spite of being able to sharpen them to a decent point, the softness of charcoal means that it’s not so easy to achieve a neat crisp line – something that you might be looking for when drawing reflections and trying to record those sharp shifts in tonal value from one area to the next. Linda also used a white pastel pencil to add extra brightness to the highlights on the oil pourer. The paper in Linda’s sketchbook is off-white so the white pencil lightens it slightly. You might sometimes be working on a toned ground for a drawing like this and in that instance a white pastel or chalk would be essential for popping in those highlights. In these close up shots you can see the soft fuzziness from the charcoal pencil. 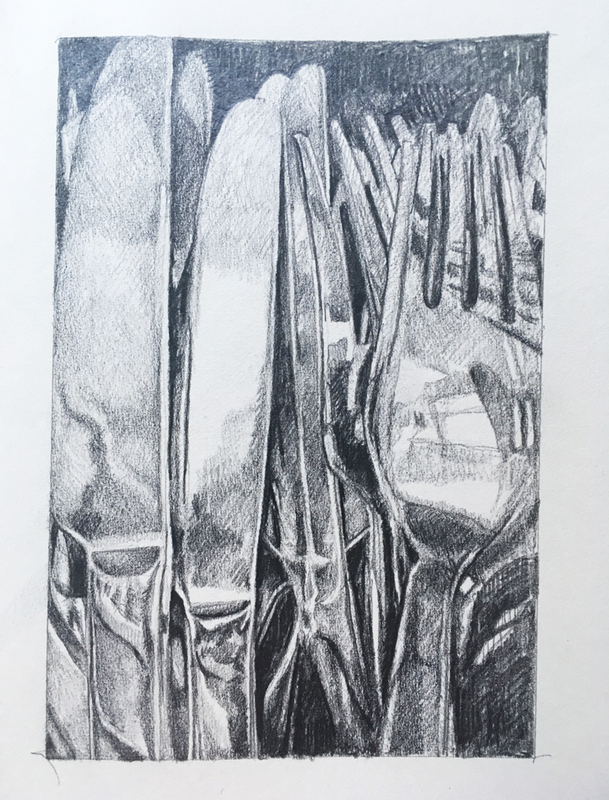 In my book I drew from a photo of cutlery from my kitchen. 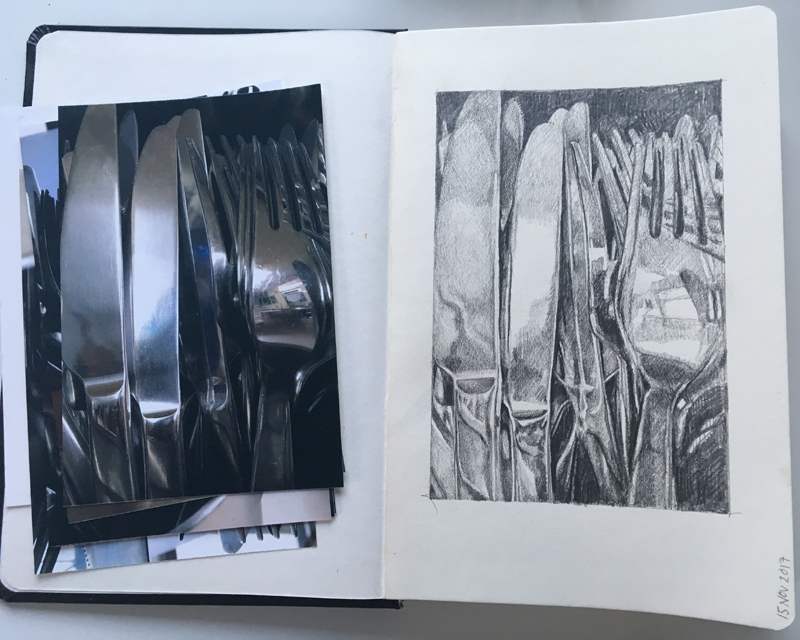 Working from a photo can be handy as the complicated shapes of the stacked knives and forks are already flattened into two dimensions and so it can be easier to then visually measure and record the shapes onto the page. I built up tone with a graphite pencil as much as I could without the page becoming shiny, but even so, I don’t think I’ve quite achieved the depth of tone that’s there in the source image. Those blacks really are black aren’t they? We hope you’ve enjoyed seeing our drawings. 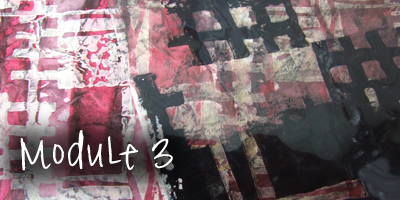 If you’re a DMTV Member or student working on something similar why not post a photo in the Gallery? We’d love to see it. 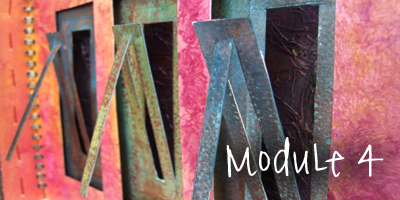 And don’t forget, if you’re a student of our online Creative Sketchbooks course and need any help with your work just drop us a line any time.